Joe Mauer retired from baseball on Friday afternoon after 15 seasons in the big leagues, all with the Twins. Mauer wrote a letter to Twins fans announcing his retirement in which he cited concussions as a primary reason for his decision. The former MVP dealt with concussions in 2013, which led to his move from catcher to first base. 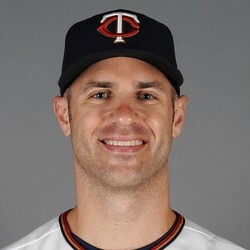 Now a father of three, Mauer can retire with his health mostly intact. The 35-year-old debuted in 2004 and wound up compiling over 2,000 hits over 15 seasons. His best season came in 2009 when Mauer led the league in batting average, OBP, slugging, and OPS. That season he won the AL MVP, a gold glove, a silver slugger, and was an all star. He will be missed by baseball fans everywhere.